We have a very interesting day planned for you as we spend a relaxed Sunday in Southwestern Ontario, experiencing the Edwardian Era. If you have heard of the show "Downton Abbey", then you know what we mean when we say Edwardian Era! Technically, the Edwardian Era is the period from 1901 to 1910 covering the reign of King Edward VII of Great Britain. However, the Edwardian Era is generally extended to about 10 years before and about 10 years after, thus covering the period from 1890 to 1920. We will start off our day today at the Waterloo Region Museum in Kitchener where after visiting the galleries, we will sit it on a fun presentation titled "The Unmentionables, A Fun Look at Ladies Underwear from 1870 to 1920!" After our visit to the museum, we will travel to the Wilmot Township in the town of Baden and get a wonderful guided tour of Castle Kilbride, built around 1880 and the former residence of James Livingston, a member of parliament. And we will finish our day in the quaint village of New Dundee where we will have a light high tea, also sometimes called a low tea in a building that has been in continuous use from 1887! Admission to presentation of "Unmentionables, a fun look at ladies' underwear from 1870-1920" included. Admission & guided tour at Castle Kilbride included. Light high tea at New Dundee Emporium included. 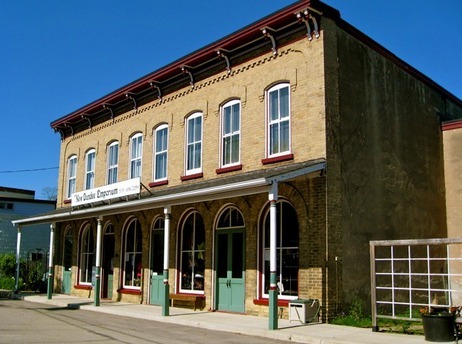 Opportunity to shop in New Dundee General Store included. We will be making a brief stop for lunch at a highway service area. You can purchase something from one of the fast food outlets or you are welcome to bring along your own packed lunch. $95 per person, HST extra. We return to Toronto at approximately 7:30 PM. We start off our day at the new Waterloo Region Museum, the largest community museum in Ontario. We will tour the galleries of this wonderful museum and check out the exhibits which include 12,000 years of the history of Southern Ontario, the "Coming Of Age" exhibit which explores the experiences of our teenage years and fashions from the Victorian and Edwardian eras all the way through to the 60s. Once we have had a chance to tour the galleries, we will get a private presentation for our bus group on the subject of "The Unmentionables", a fun look at ladies' underwear from 1870-1920. Yes, back then they really were called "the unmentionables". Castle Kilbridge was built by James Livingston, an immigrant from Scotland and named after Livingston's birthplace in Scotland. The major feature of Castle Kilbride is the interior decorative murals in the style of the Italian Renaissance. The trompe-l'œil technique used in the murals gives the illusion of a third dimension. 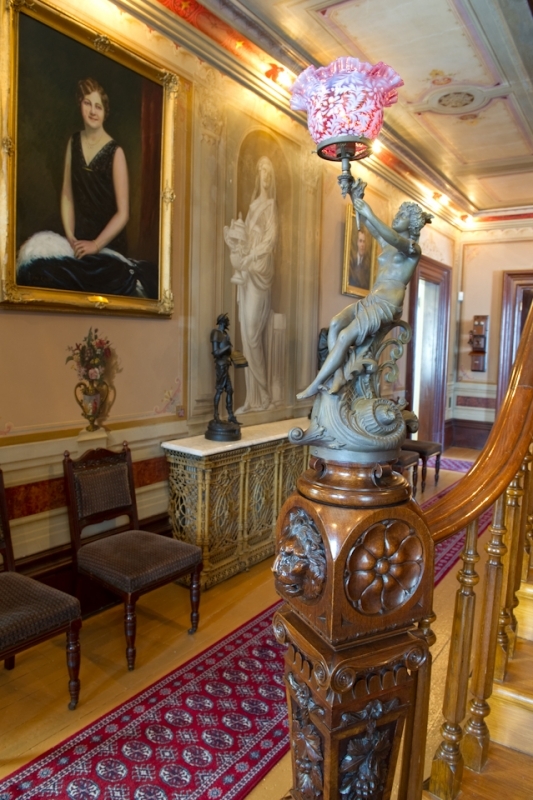 The building is also an outstanding example of an Italianate villa of its place and time, and at the time of its building was a tribute to the reputation of its owner as the so-called 'Flax and Oil King of Canada'. After the visit to the Castle Kilbride we will travel to the quaint village of New Dundee. You are going to walk through the circa 1887 front doors of this classsically Victorian building to be greeted by the gentle chime of the same bell that has announced customers for 126 continuous years. Hardwood floors creak beneath your feet and invite you to slow your pace and artisanal giftware and gourmet food products line the original shelves. We will settle into our seats at our private tables for a traditional light high tea service (also sometimes called a low tea) consisting of tea or coffee with world famous scones, devon cream, locally made preserves and a delectable selection of pastries and cakes including minature spiced cakes, shortbread cookies and an assortment of other sweets. Yum! After we finish our tea amidst lots of laughter and conversation and mirth and merriment, we alas have to board our bus and head back to Toronto. Is it just me or do some of you also feel a slight pang of regret when a great day trip comes to an end?